A few days before Christmas, my boys asked me to close my eyes and follow them outside. They wanted to show me the Christmas present they made for me. I was thrilled. 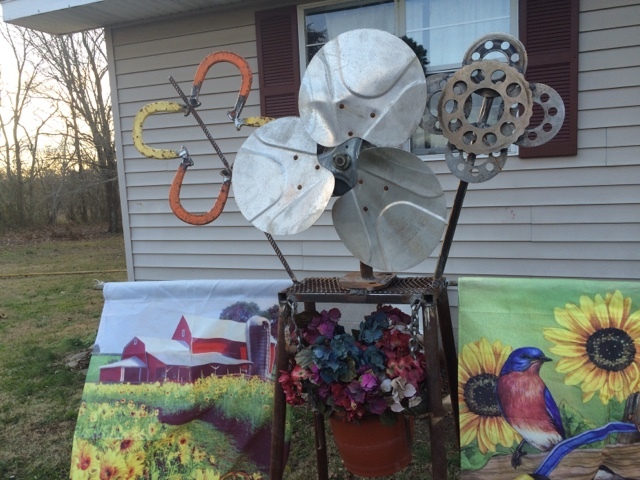 I love scrap metal art and knowing they made this for me blessed my heart beyond measure. 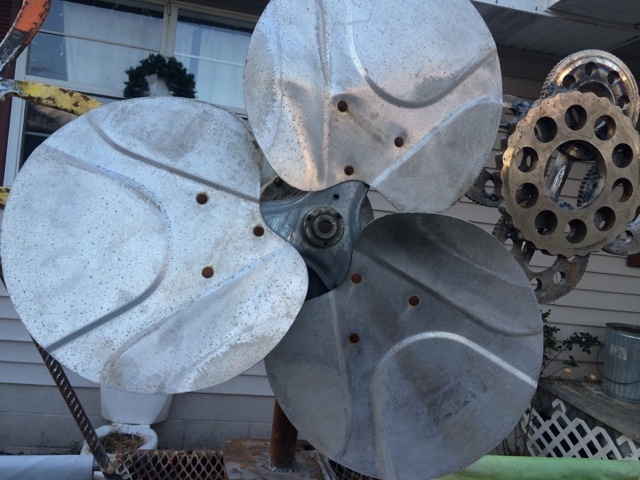 I had made mention many times before that I would love to find a windmill at a yard sale because new ones were far out our price range. 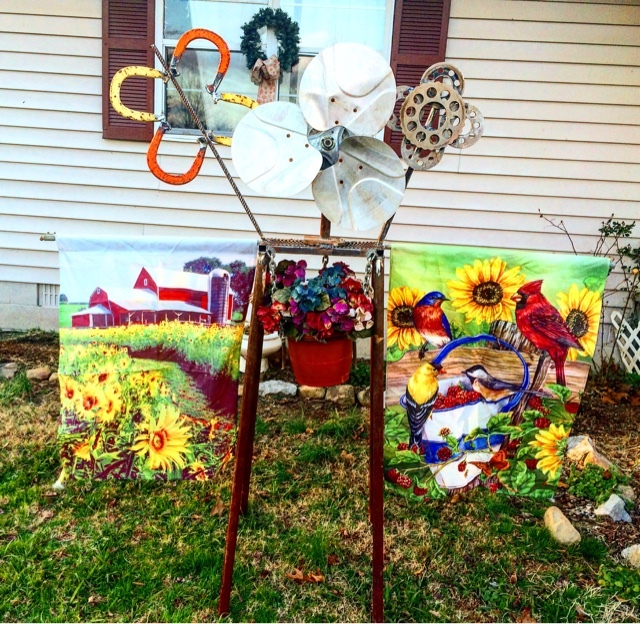 They took that idea and created this 'windmill'. 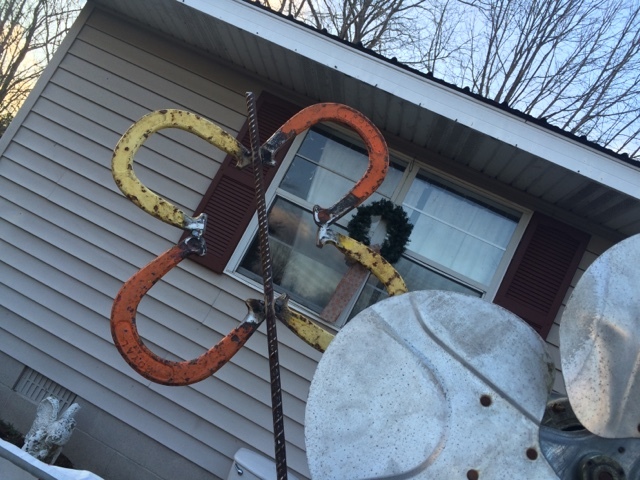 On one side they used some horseshoes and welded a butterfly. On the other side they made a flower. 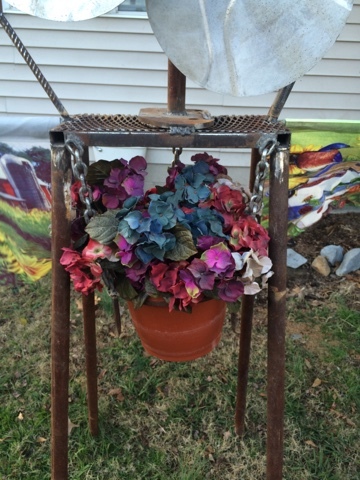 It's welded to a stand and there is a flower pot hanging beneath. Along with two flag poles on each side. Their creativity was fantastic and I am so pleased with the result. I look forward to spring when I can put some real flowers in the pot and find the perfect spot for it to be placed. I'm thankful that Shannon is teaching our boys such useful skills. 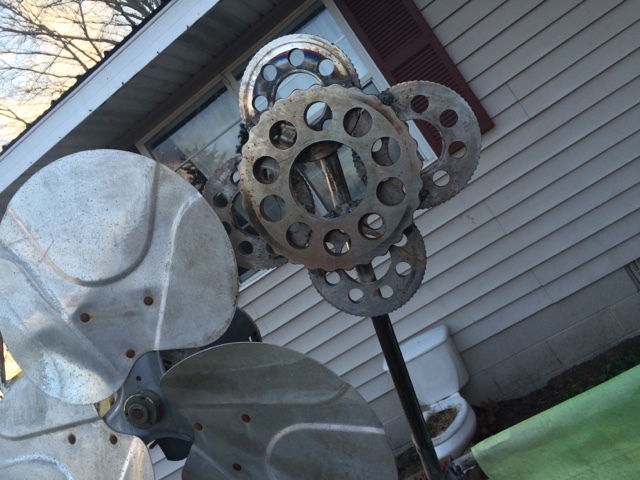 Welding and making things out of scraps is a handy skill to learn. Gifts don't have to cost a fortune to make someone feel loved. That is really neat that they made it for you. I love thoughtful hand made gifts like that! Really liked this Christmas gift! It’s a creative handmade gift. Thanks for sharing these photos. I got many presents on last year’s Xmas. Hosted a party at local venues in Atlanta and was truly an amazing party. All had a rocking time!